Scheinholtz Associates is a design oriented architectural firm established in 1985. 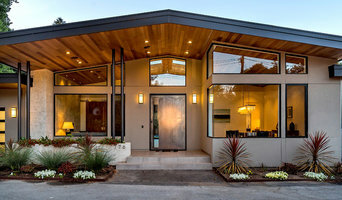 Handling primarily residential construction, the firm has a unique ability to work within the Bay Area's intricate building process to create projects that are compatible with client and community. Personal involvement guides each project from neighborhood meetings to public hearings to building codes. 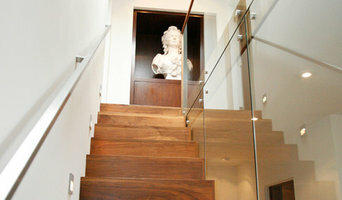 We work on both traditional and contemporary homes. The clients tell us their image of the home and we produce it. The unifying element in our work is clean, well designed spaces. 25% Off Projects for New Clients! JTA is a boutique architecture firm who specializes in residential remodels, additions and new construction, as well as small commercial projects. Our style is contemporary and approachable, with a preference for clean and uncluttered design, whether is it a traditional or modern project. Our work is informed by a rich modern aesthetic and by the belief that form and function can be perfectly married, that high design can be accomplished on an economically rational basis, and that buildings foster uplifting experiences for their users. JTA’s clients speak highly of the responsiveness and ability to understand their design preferences and practical requirements, to complement their own thinking with fresh, creative and innovative ideas, and to execute plans quickly and efficiently. JTA strives to ensure that the creative process continues through all phases of design and construction, creating modern, contemporary and stylish spaces. If you are looking to design your dream home, give us a call at (650) 488-6154 or click the "Contact Me" button to send us a message. We look forward to working with you! Nick Lee Architecture offers architectural services including design and engineering for new homes, additions and remodels. We believe in Architecture for Everyone and want to help you to Create a Great Place to Live. Regardless of size, scope or budget, we are dedicated to providing you top notch service to make your project a success. 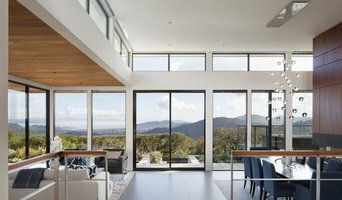 Architecture firm based in the San Francisco Bay Area. We design projects throughout California, several other states and Europe. We design everything from large custom homes to cost effective small remodels and small commercial projects. We design unique homes in both traditional and contemporary styles. Through extensive traveling and living abroad we have become experts on traditional architectural styles and found inspiration and fresh ideas to incorporate into our designs. We listen to your ideas and work closely with you to create your dream home. Getting to know you and your life style, will help us customize the home to fit your unique needs. How do I find the best San Lorenzo architect for my home design project? It is best to hire a home architect who will be involved in all phases of the design process, from the initial concept to the completed construction. The architect is often the first person you will hire for your project. If necessary, they might also help you select and hire California subcontractors, which can include the builders, engineers and landscaper. Interior architects are also involved in negotiating contracts for all involved participants. It is for these reasons that it is extremely important for you to have a good relationship with the San Lorenzo residential architect you hire. He or she can be the tie-breaking vote between you and the general contractor and can be your biggest advocate during the construction process. Different architecture firms in San Lorenzo, CA provide different services, so the scope of the work can span from pre-design environmental impact studies to selecting furniture and finishes, depending on what your specific needs are. It is very important to hire the right professional for the job. Remember that the most well-known or established designer might not provide the best architectural services for your needs. It all comes down to the individual project. Research and ask people whose work you like for recommendations. It's important to have somewhat of an idea of the style of house architecture that you prefer, as well as the amount you would like to spend. 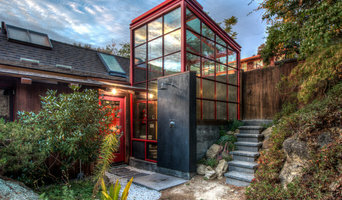 Residential architects in San Lorenzo, CA are natural problem solvers. They will assess the entire situation and help you to solve your problems too. Don't settle for a single company too early. Call and interview a few. Make sure that you feel like your personalities will mesh well and that you like their professional perspective. 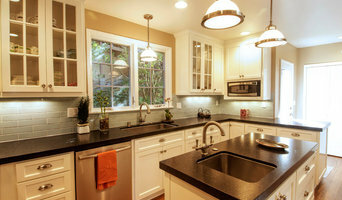 Find a home architect in San Lorenzo, CA on Houzz. Narrow your search in the Professionals section of the website to San Lorenzo architects. You may also look through photos of California projects to find interior architects and building designers who have worked on a project similar to yours.